Varahamihira is considered to be the foremost Hindu Astronomer and Astrologer. He was master of all the three sections of Astrology. The outstanding works of Varahamihira are— 1. Brhat Saffihita. 2. Brhad Jataka, 3. Laghu Jataka. 4. Brhad Yogayatra, 5. SamAsa Sathhita etc. 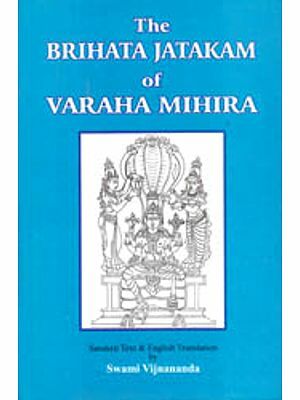 Brhat Sathhita is the most celebrated work of Varahamihira. The 106 chapters of the Brhat Sarhhita contain all the practical and useful knowledge of the astronomical aspects for the daily life of the people in general. The chapters of this book contain in depth information about Astronomy, Geography, Meteorology, Portents, Agriculture, Economics, Physiognomy, Botany, Zoology, Erotics, Gemology, Augurus. Calendar, Stellar lore etc. 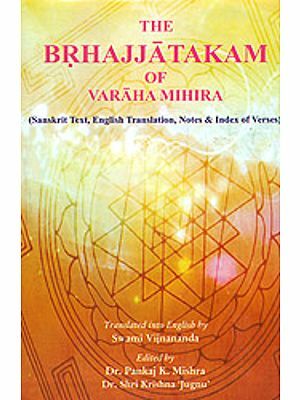 The present edition of Brhat Saitihita is a compilation of two texts out of which one is in Sanskrit language edited by Prof. Hendrick Kern - a well-known German scholar and the other is the English translation of the Brhat Sathhita by N. Chidambaram Iyer again a well- known South-Indian scholar. 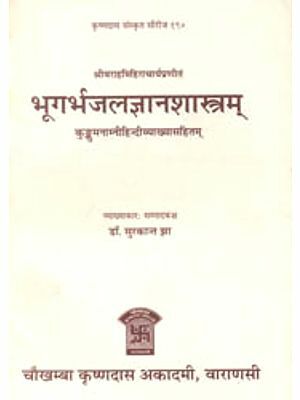 Both the texts have been edited thoroughly by the present editor Dr. Shri Krishna ‘Jugnu’ and the outcome is the present edition of Brhat Samfihita which is the first and the most unique of its type. 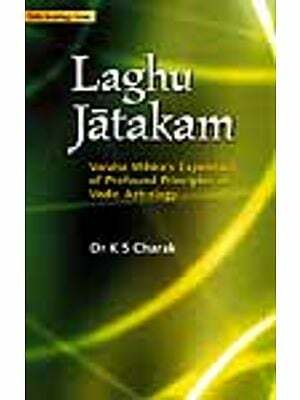 This edition not only includes complete Sanskrit Text and English Translation, but also important Notes at various places and an Index of Verses at the last. No information is to be found in the works of our author about the year of his birth nor could we expect to find it but in his astronomical treatise Pancasiddantika which unhappily seems to be wrong beyond hope of recovery. There is every reason to believe that we should find the author’s date in that because it is the all but universal practice of the Scientific Hindu astronomers to give their own date. In one way or the other, the Hindu astronomers at Ujjayani must have had means to know the date of Varaha-mihira, for in a list furnished by them to Dr. Hunter and published by Colebrooke,1 the date assigned to him is the year 427 of the Saka-era, corresponding to 505 AD. It is not clear that to what period of his life this date refers. The trustworthiness of the Ujjayani list is not only exemplified by the fact that others of its dates admit of verification, but also in a striking manner by the information we get from Albiruni. This Arabian astronomer gives precisely the same date1 as Dr. Hunter’s list eight centuries afterwards, from which it is evident that the records of the Hindu astronomers have remained unchanged during the lapse of more centuries than there had elapsed from Varaha-mihira to Albiruni. The latter adds, what is not stated distinctly in the (Ujjayani list, that 505 AD. refers to the author’s Paflcasidd hantika. 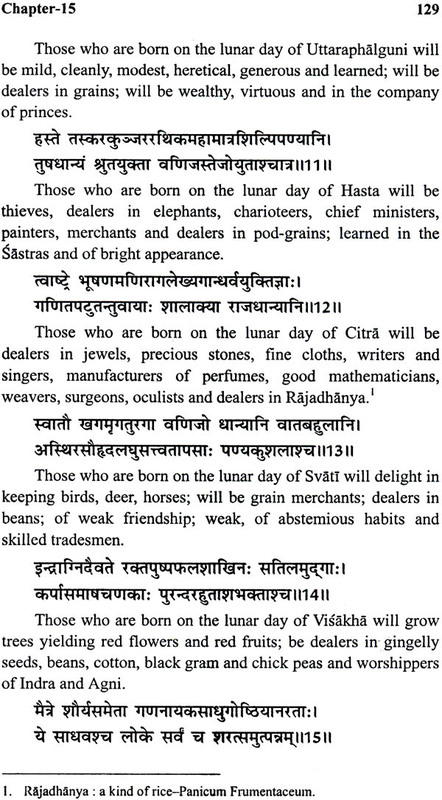 This statement would, on ground of analogy, seem to be corroborated by Dr. Hunter’s list, for two other dates at least, those of Bhatra-Utpala and Bhaskara-acarya admit of being verified, and as they refer to some works of these authors, not to the year of their birth, it is but natural to suppose that the same holds good in reference to Varaha-mihira. There are, however, two facts that make the date assigned to the Pancasiddhantika not indeed incredible, but improbable. 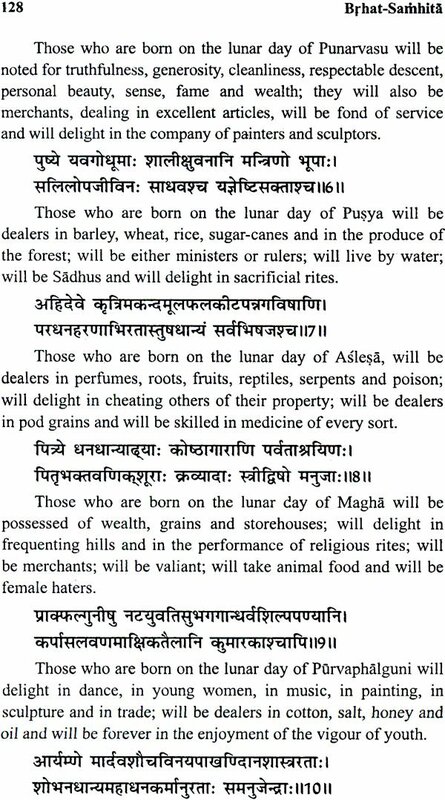 The first is the date of Varaha-mihira’s death, as ascertained by Dr. Bhau Daji, viz. 587 AD. 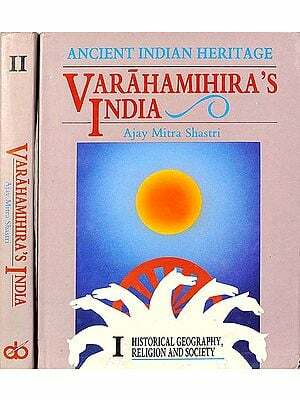 The second difficulty is the fact that Varah-mihira quotes Aryabhaqa in a work which cannot have been any other but Pañcasiddhantika.3 Nox; as Aryabhaga was born in 476 AD., it is unlikely that 29 years after, in 505 A.D., a work of his would have become so celebrated as to induce Varaha-mihira to quote it as an authority. 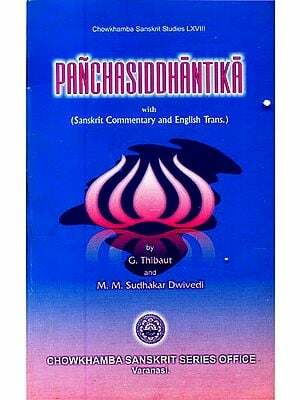 It is of course not impossible, but not probable, while on the other hand the error of AlbirunT in taking 505 A.D. for the date of the Pancasiddhantika while it really was the date of the author’s birth may be readly explained. The inferences from astronomical data although proving indisputably that Varamihira cannot have lived many years before 500 A.D. are not numerous enough nor precise enough to eliminate from one or two data the errors of observation and sometimes necessary to make suppositions in order to arrive at any conclusion at all for a discussion of these I refer the reader to colebrooke’s Algebra. Although not able to fix the date of Varaha-mihira’s birth with precision we know with certainty that the most flourishing period of his life falls in the first half of the 6th century of our era. This point important in itself has the additional value that it serves to determine the age of other Hindu celebrities whom tradition represents as his contemporaties. The trustworthiness of the tradition will form a matter for discussion afterwards; let us assume at the outset that the tradition is right, then it will follow that his contemporaries were Vikramaditya, the poets and literati at the court of this king, especially Kalidasa and Amara Sinha, and it may be added from another source, the author of the Pancatantra. We shall begin with Vikramaditya, and since there are more princes than one who bore that name, or title, we shall have to enquire, which of them may have a claim to be considered the contemporary of Varhamihira. It is generally assumed that the first Vikramaditya known in the history of India, was a king reigning in the century before the Christian era, and that he was the founder of the Indian era, generally denoted by Samvat. The objections that may be raised against this opinion are so many and formidable, that no critical man can adopt the fact without submitting the varying testimonies of Hindu authors to a severe scrutiny. This has been done by Prof. Lassen, more fully, so far as I know, than by any other. But not withstanding the care bestowed by that distinguished scholar on the subject,his conclusions seem to me utterly inadmissible; it is therefore my duty to state the reasons why I cannot adopt the received opinion. So far Lassen. The objections to the foregoing are many and obvious; leaving out less important points, my first remark refers to Colebrooke’s startling conclusion, that Utpala (for he is the commentator in view) uses the Samvat era because he, Utpala, considers Vikramaditya sakari to be contemporaneous with the beginning of the saka era. What kind of weight has to be attached to such a conclusion, will be clear from an example nearer home. Let us suppose that some European considers, however erroneously, that the beginning of the Emperor Augustus’ reign and the beginning of the Christian era are contemporaneous facts; would then the only possible conclusion be this, that the man thinks that he lives in the year of grace 1896, instead of 1865? It is imaginable, certainly, that one might make such a mistake, imaginable, although it would be an abuse of language to call it possible. But let it be possible, it is not the only possibility; the man may have forgotten the precise date of Augustus’ reign, a much more probable contingency. Thirdly, it is again, imaginable, that the man places the two not conemporaneous facts, wrongly supposed contemporaneous by him, in a time which is wrong for both, say at the time of Pericles. The first and third conclusions are, to use a mild term, so extremely improbable that only the second is left. Let us apply it to the case of Utpala; and we shall find that the only, not preposterous conclusion in that Utpala places vikramaditya 78 A.D. not 57 B.C. What is a priori the only admissible conclusion become a posteriori quite certain because happily Utpala gives us his own date and in so doing affords us the means of ascertaining what he means by the Saka era. At the end of his commentary on Varahamihira’s Brhat-jataka we read.